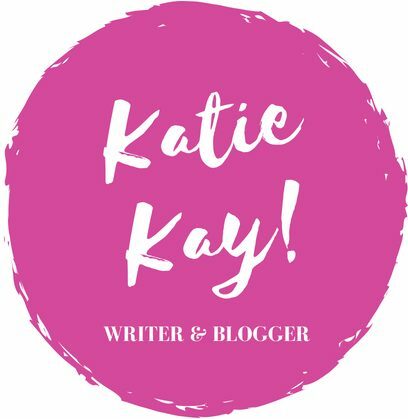 JUMP (a short story) – Katie Kay! IT WAS THE grayest, dreariest day of the year at the Golden Gate Bridge, which seemed unfair—but also quite fitting. The fog floated upward, choking off the reddish glow of the Bridge for the visitors and commuters alike. The atmosphere was ripe with a terrifying eeriness, almost as if God’s sadness was blanketing the Bridge—but blanketing the people there too. And then there the crazy ones—like me—who walked across at a time like this. My legs ached from the arduous trek across the Bay, but it wasn’t like I could see anything; it was much too misty to stop and say reverentially, “Wow! What a beautiful day!” While the throbbing in my thighs was annoying, it seemed as if something more substantial hurt underneath the surface. A manic restlessness, perhaps. With my hands stuffed in my pockets, I was hard at work thinking, remembering thatafternoon with severe clarity: How it had been bright, the round sun like a gold ring up in the sky, the clouds wispy and cirrus, like little breaths from gods up above. The two of us had been happy then. She’d bought a gold necklace and strung it across her neck, saying, “You know, I should buy you one too.” In our childhood, we’d had two little lockets that, when pressed together, created a unified heart. When separated, the hearts were broken. Yet on that day at the Fisherman’s Wharf, we had admired our identical chains with pleasant smiles. Distance can’t break us anymore. Then there was today. I was alone. My mind worked in overdrive. It was like my body couldn’t stop, as if I’d been propelled like a wind-up toy. My entire body ached. I wiped my hand across my face, and it came back wet. It was cold up here. It was freezing. My heart shivered, and I felt the tidal wave crash over me, like the thousands of others that had come before it. For a moment, I couldn’t breathe. Some people survived when they jumped. The odds were infinitesimal, but still there. Why hadn’t Sarah? A shiver glided up my spine, tickling me until I couldn’t hide the fact I was crying. Luckily, I’d been smart enough to forgo makeup, as this was the anniversary of the darkest day in my entire life. No day could compare to the stark burn of August 19th, 2013—at least in the specificity of my own little mental fortress. For a moment my thoughts only churned around the possibility of escaping this prison. Why had I decided to come out here in the first place? It was loud and scary—as the cars whooshed by like bullets—and the fog refused to let up. And here I was, rooted to the sidewalk, wondering what was below that hadn’t been discovered. Skeletons lay at the shallow depths of the water beneath my very feet, cuddled in the silt and sediment of the estuary. My own sister had once been part of that place too. I imagined that gold chain glinting in the darkness down below, wrapped around her lifeless body. It almost felt like a memory, yet I knew it had to be my overactive imagination. It was as if a jail cell had been opened, allowing a part of my mind to be released. It was true: Idid have an overactive imagination. I appreciated people and possibilities. Or was that something my sister did? Everything was cloudy now, inside my body and out. A few passersby greeted me with toasty smiles, but I was left frozen in this unique spot, unable to wave or respond at all. They looked like tourists who were at peace with whatever had uniquely happened to them. In a way, I was visiting like them, just stopping by; but in another way, I was here because this place had claimed something that was mine. Something I would never be able to take back. The wind chill was impossibly biting, and for a moment, I stopped breathing. Sarah had attempted suicide once before. She’d jumped into a swimming pool and refused to breathe. That stubborn girl, who always fought like she wanted to, passed out as if she were about to take a dreamy nap with mermaids and starfish and cerulean seas. My father, with his bad back and clinical depression, found her face-down like a limp doll. He sprained a knee to save her life. Sarah never answered the question. She only frowned. “It’s a bit frosty,” chirped a voice behind me. My skin flared. I turned, wishing I’d brought a can of pepper spray. However, it was only an old man, a cap pulled over his head and a jacket made of wool and warmth hugging his frail body. “Are you okay?” I saw it in his eyes. He thought I was here to stumble over like the others before and after Sarah. Jumpers. “You know, this is a bit of a strange time to be out on this old thing.” He blinked. “Why are you here then?” My voice came meek this time, betraying me. So much for acting tough. He lit a cigarette, his old hands wrinkled and big. The smoke rose through the air in swirls, like I imagined that blue water to do when a body fell into it. Ripples, each defined and sharp. “I’m here because it’s the anniversary.” Then I noticed his hand trembling. He glanced up, his blue eyes watery and old. Had he lost someone he loved? Well, obviously he had. He seemed torn-up, but for some reason, it seemed as if there were something else. The fogginess swirled around us, draping us so we were alone together. I’d stopped moving for once. I could feel the unease seep into my soul. The disgust plagued me. Why did this seem so utterly familiar, especially this particular spot? Restless. “Me too.” Soft. Sarah would have been ashamed. You’re anything but soft. You’re my big sister, and I know you more than anyone else. She would have poked my arm and smiled too, because she loved me and I loved her more. This is what I wanted, remember? Don’t be sad because I made my choice. My hand, a little thinker all on its own, wiped a stray tear from my cheek. A murkiness ebbed over my mind, like an eraser swiping across a chalkboard, leaving a filmy wave of dust in its wake. The images in my mind were painful like raw slices of flesh. They were very, very personal. Sarah had been nineteen when she jumped, and while it had been the culmination of a billion little acts leading up to that one point, I refused to let her deathdefine her. She had been a jack-of-all-trades, popular and nerdy, blonde and relatable, happy-go-lucky. She was the girl who offered a pen to those who needed one, and she offered to drive twenty minutes away to pick up a friend before school. Some hated her for her kindness, and others loved her for her generosity. In reality, I didn’t remember much about myself. I knew the basics: I hated bananas and had an affinity for queso dip; I had dark red hair that looked purplish in certain lighting; I wanted to be a doctor because my grandma had been one. It didn’t feel familiar to think of myself so personally. It was as if my mind had closed itself up tight so I couldn’t see into myself. One thing was for certain: Sarah was my best friend. When I turned twelve and she was nine, we hiked into this lush copse of trees behind our house, even though we both hated the outdoors. We walked nearly half a mile to a little babbling brook, where she’d jumped over the water with ease. It was barely wider than three feet, so it gave her added esteem. “Thanks, sis. Also, it’s genetics,” I’d said, enunciating that last word with precision. Never would I trade Sarah for the world, either. In the present, the old man studied me like I was science. Quickly I turned on my heel and left. My body shook as one foot followed the next. It was a little rhythm for a moment, until I found my hands clenching the railing, the skin turning deathly white. I realized I was wailing. Some people probably thought I was a lunatic. I didn’t care. “Sarah!” My lungs burned. “Why did you leave me like this?” Each whimper wracked my chest. “How couldyou?” The phrases came out jumbled. Slobber dribbled down my chin. How long had it been since she’d died? Time was scrambled like eggs in my brain. I knew the day she died like the back of my hand. It was the anniversary today, wasn’t it? How long ago, though? Years and years? This is what I wanted, remember? I wanted to leave this place. Even though she didn’t want it, she did agree to try it out. She left college within a month and found herself lonely most of the time. It seemed like everyone was headed into very different directions, and she was stationary. So, remembering that one day at the babbling brook where I was her little savior, I decided a day out together would be nice. Sarah and our parents lived in sunny Santa Barbara, so we met halfway, and then I showed her the sights: the fishy smell at the Fisherman’s Wharf, the busyness at Union Square, my favorite restaurant in Chinatown. We shopped and dined like nothing was amiss, like my sister hadn’t been depressed for the past few months, like we still didn’t understand why. I bought her a little windblown butterfly painted lilac and teal. She’d cradled it in her palms and said, “Thank you,” but it wasn’t what she’d said—it was how she’d said it. It was the brokenness I felt as I remembered that day. It was the bittersweet happiness. I loved my sister. I would never do anything to hurt her. Her eyes became vacant when their gaze landed on that Bridge. Maybe it was my memory of that day that created this vision. Maybe she understood she would fling herself from there. I finally stopped mentioning the Bridge altogether. That night, underneath a cloak of crystal-clear sky, Sarah vanished from my studio apartment in the heart of the city. The next morning, I found my keys missing and my car gone. The terror that pounded through my veins was murderous itself, but somehow, I pulled myself together for that morning. Somehow, I called my parents and told them Sarah had vanished with my car, and I wasn’t sure where she was. Somehow, that morning, when the cops greeted me with blank stares and said, “We think your sister has jumped off the Bridge,” I managed to pass out and become hospitalized for a week straight. Sometimes, I saw visions of her standing with me, like she had stayed on Earth. She never stayed in the same place for long, as if the movement she had craved her entire life had suddenly been given to her. These visions were nothing more than dreams, perhaps. Weird things happened in hospitals. The honest truth was Sarah Nolan, my beautiful sister, had been a jumper. In my study of those like her in the years afterward, I knew the statistics like the back of my hand. Only 2% of jumpers survive impact. That alone was enough to elicit the pain inside me. Sarah Nolan had become a statistic, even though she could never be defined by this fact. To me, she’d always be my little sister, the only person in the world for whom I’d die. Out in the distance, a little sliver of light began to peek through the endless grayness. Someone in the distance cried, “Help! Help!” It was from the direction where I’d met the old man. A woman clutched her lover. They were locked in some sort of weird embrace, staring at a man standing on the ledge of the beam. The woman shouted, “She’s going to do it! She’s going to jump! Help! Help!” It was like a spotlight had been cast on them for a moment, highlighting their terror. She? But it’s a guy on that ledge. Like a slap to the face, I opened my eyes and saw the spotlight—and that couple—was gone. One moment they were there, and the next… It was almost as if it had been a memory, listening to the screams and the fear and the desperation from them. Then two perfectly blue eyes filled my vision. Two very familiar blue eyes. Blue the color of azure ice. They were smiling eyes. Happy eyes. The last image I’d seen before I hit the steely water. They weren’t Sarah’s. They were Leah’s. They were mine? Shake it off. Help the guy! Now, before me, this new jumper was shaking uncontrollably, his body wobbling as he hung onto the support beam. Tears dripped down his face, but it was impossible to tell if it was the condensation or not. I imagined Sarah watching from above. What had she been thinking before it happened? Sadly, I realized the strip of gold in the sky had diminished completely, almost like a dying ember. Yet the ember had begun to burn inside my heart, and I felt her with me, and I understood she wanted me to live my life since she didn’t have the chance anymore. But this wasn’t just about me. “No, trust me! It’s not!” I reached out a hand to him, praying he’d take it. I glanced up, my heart rocking back and forth in my chest. The young man’s mouth was wide open, his shame and terror as evident as the foggy day. He stared directly at me. “You can’t stop me,” he said tearfully, a collection of sobs blanketing the air around us. Those words were hauntingly familiar. The spotlight returned, just for a moment, so I could see that couple who had tried to talk me off the support beam. This couldn’t be just an overactive imagination anymore. They had tried to save me. It was my choice to save him. “Don’t even try! I’ve already made up my mind.” His voice was hard. He wiped his nose with the sleeve of his jacket. Out of the corner of my eye, I saw the old man approaching steadily, his eyes sullen and grotesque, as if he were watching his own death sentence. He hobbled like his life depended on this one mission, this ability to be part of this distinct event. The wailing subsided. It went silent. The old man and I exchanged a solemn look as we waited for the young man’s next move. He tugged on his shirt over and over again. “So now people start to care?” His words were like chains to his audience. What could we do to free him? What could he do to free us? I realized my legs had stopped moving. I was standing in one position. “If we didn’t care, we wouldn’t be standing here watching you do this.” My own voice was keen. The toughness had returned. The ability to wallow diminished, the ability to soar returned. Sarah had killed herself like this, by jumping off this Bridge, and there had been many before her—and many after her—who had done the same thing. “We can’t stop you,” I said pointedly, “but think of your family. Think of what it would do to them to see you up here.” Why does this sound so familiar? The old man’s presence behind me sharpened my senses. He stared up at the situation, but he was deathly quiet, almost as if he weren’t really there. I turned my head and pressed on the old man’s winter coat. He turned toward me, something fierce in his eyes. He blinked, and then we both focused on the jumper. “You can’t jump!” I screamed, my voice like broken glass. It didn’t sound quite like me. It sounded muffled by the pain in the air, the chill of the afternoon. It came back into focus. The couple on the bridge. My own tears as I stood above the Bay, watching those blue waves crash into each other. There is something about a memory that can trigger an explosion. The shrapnel rammed into me like I was being pushed off the Bridge. “I… Leah, I don’t know what’s real anymore.” My hand instinctively reached up to touch the curvature of my neck. It hung against my neck. I opened the locket. A picture of Leah, with her big blue eyes, was enclosed. The shocking reality of the situation hit me like a train at full speed, as if I had been left on the tracks like a little cocoon of a human. This Bridge, the ethereality of it all, the vividness of terror—and that gold chain. It had been a gift from my sister. I knew Leah, my beautiful sister, who taught me to believe in mermaids and starfish and cerulean seas. Leah—my sweet Leah. The memories came over me. The happiness from that afternoon before I gave it all away. This was my grief, my penance, my hell: To remember what I’d done to her, how reckless I’d been, how I hadn’t sought help beforehand. My Leah was out there, somewhere, her life being lived. She no doubt wondered about me. She no doubt had sorrow, and strife, and her own demons, too. Leah, I wanted to scream, I pray you got over this. “Jonah, you can step down now. Here, take my hand.” We made contact, and he stared at me like he believed he was crazy. Was this reality or not? The only thing that mattered was his understanding that some people do actually care. “What is your name? Your hands are so cold!” he exclaimed. Behind him, a light suddenly brightened. It may have been my “overactive” imagination. It could have been a memory. It could have been God calling us home. Whatever it was, it reminded me of my sister. Golden Gate Bridge, San Francisco, CA (April 2017) A gray, dreary day, as I envisioned the setting of this short story. Here is another writing sample from me. 🙂 I wrote this short story for my first creative writing class in October 2016. The writing exercise was actually pretty cool: My professor had us choose two slips of paper from a cup, and we had to write a story based on these two slips. What were my words? Somber and Golden Gate Bridge. And then everything came to me, like a lightning bolt. I hope you all enjoyed this short story. “Jump” isn’t the most light-hearted, but I hope there were good takeaways from it, and I really encourage all of you to listen to those around you. We meet people for a reason, and there are so many who could use a friend. Therefore, please be willing to lend a hand, and do your part to be kind to all with whom you come in contact. This was really good. From the midpoint to the end you had me in your grip. Keep writing like that! And don’t give up! You are welcome. It’s nice to know you. This story made my hands grow cold and clammy. Wow. Great story, from beginning to end I was on the edge of my seat.